Alongside our third version of the Geosocial Universe, JESS3 created three additional snackables — think of them as moons in the orbit of the full graphic. 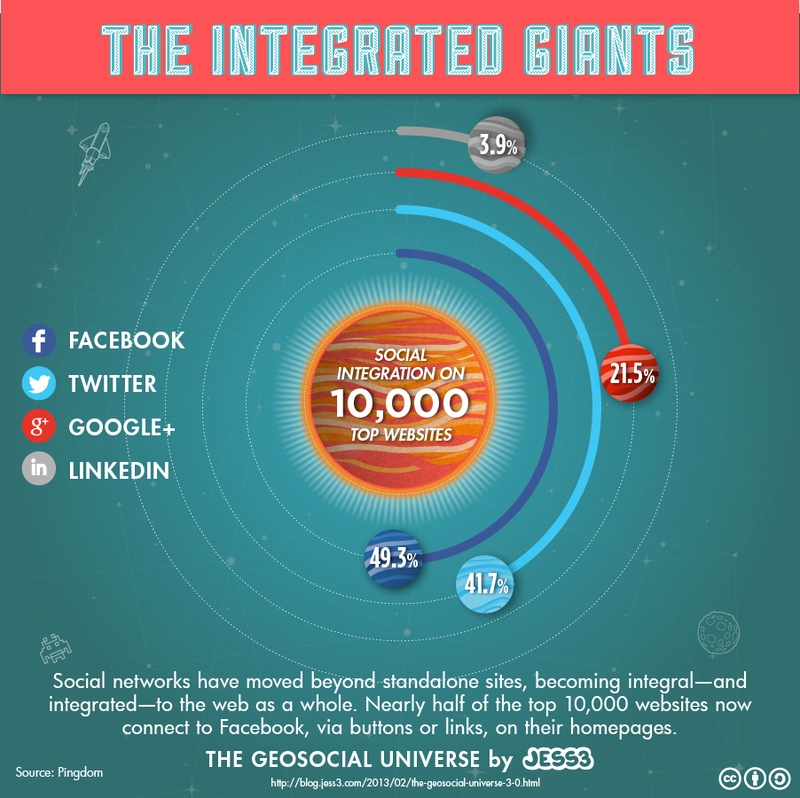 Here’s the first one: The Integrated Giants. For this graphic, we used a survey from Pingdom, an uptime monitoring service, to visualize how many of the top 10,000 websites are integrated with major social platforms. Just about half of all the sites are connected to Facebook, either through buttons or links, and Twitter follows close behind. Google+ appears on over a fifth of homepages, and while LinkedIn only shows up 3.9% of the time, that’s still 390 top websites that make it a part of their online presence. Social networks are not just connecting people — they’re connecting the entire web. NextShould We Really Keep Politicians Away From Scientists? Sarah Hill is an independent PR Community Manager.